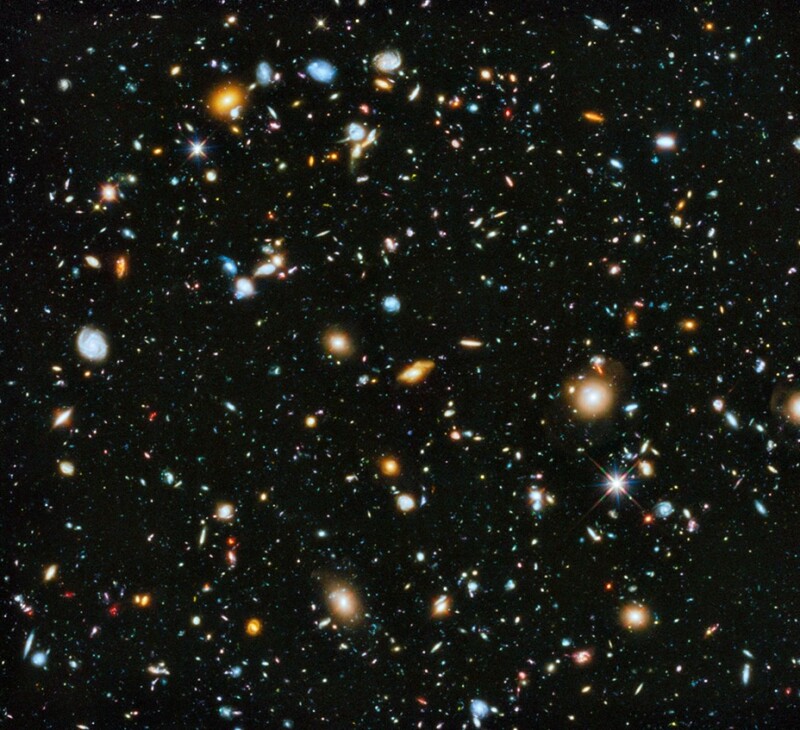 The Hubble Space Telescope has captured the most comprehensive image ever assembled of the evolving Universe in a study called the Ultraviolet Coverage of the Hubble Ultra Deep Field (UVUDF). The new Hubble Ultra Deep Field image reveals dim galaxies as they were only a few 100 million years after the Big Bang, providing us with a view of the Universe in an extremely distant past. We see these galaxies in the earlier stages of the Universe due to the amount of time it takes the light from distant objects to reach Earth. Images like these help astronomers understand where the stars are forming and how galaxies like our own have grown in size over periods of billions of years. The latest image uses ultraviolet data, combining it with observations taken in visible and near-infrared light, and it is an update of Hubble’s deepest portrait of the visible Universe released in 2012, zooming in the direction of Fornax constellation. The Hubble Ultra Deep Field 2014 image was made from 841 orbits of telescope viewing time and it contains around 10,000 galaxies. It is a composite of exposures taken from 2003 to 2012 using Hubble’s Advanced Camera for Surveys and Wide Field Camera 3. You can find the images on Hubblesite.org. The video shows the zoom into the small area of the sky in Fornax, with the nearby constellations Lepus, Columba and Cetus and the bright star Sirius in Canis Major marked for orientation.